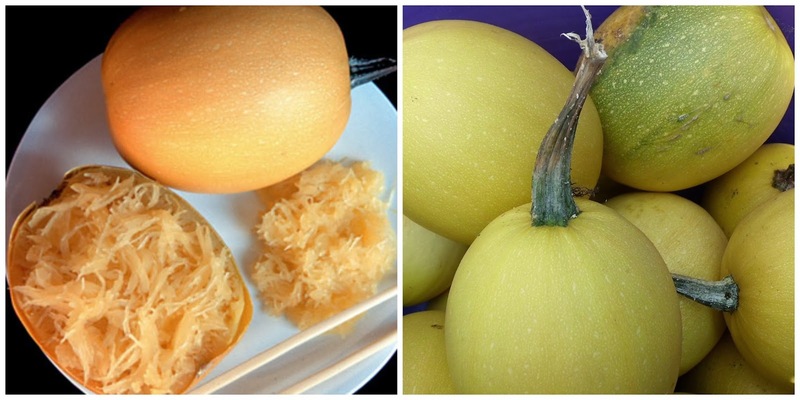 This is American strain of this popular Japanese squash, with stringy flesh that is used like spaghetti. Introduced to America before 1920. 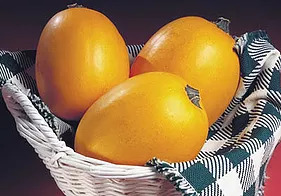 May have originated in Manchuria (China). 85 days. 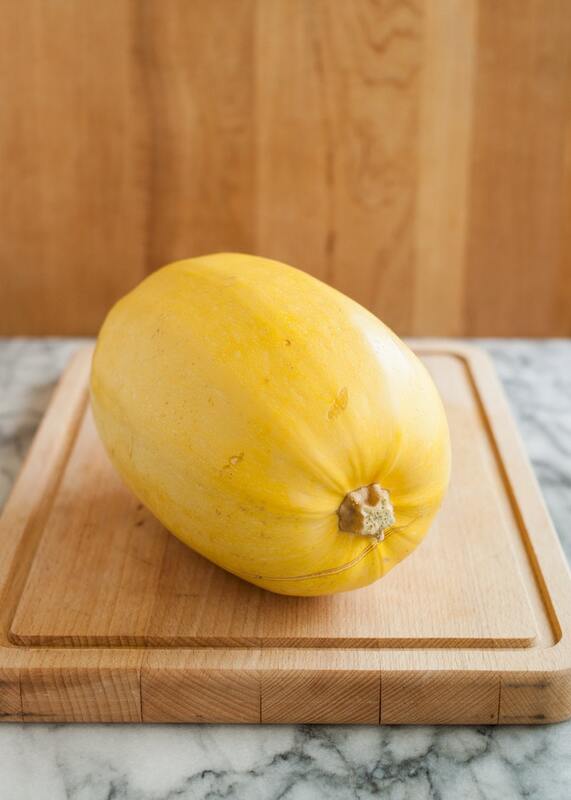 This is a personal size Spaghetti Squash weighing only 1-1/2 to 2 pounds and making only 1-2 servings. It is sweet and flavorful. 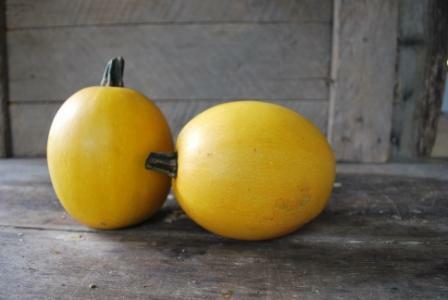 The fruit are egg shaped with a sunshine yellow color when ripe. 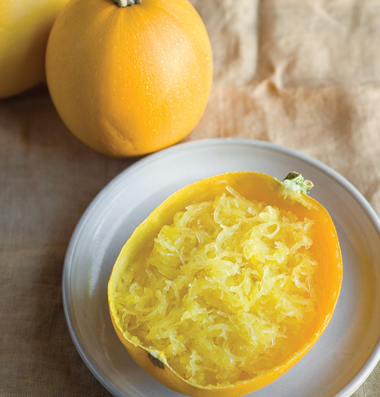 New spaghetti squash from Poland. 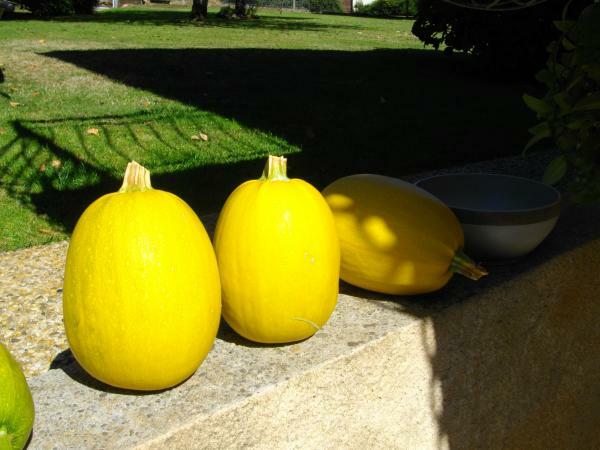 Plants are of a bush habit, and have lots of disease resistance. 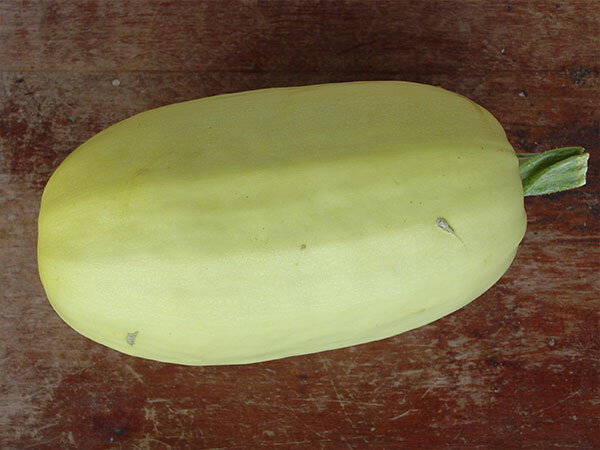 Pale-yellow fruits are the usual elongated oval shape, reach 2-3 pounds each. Flesh is fine-grained and tasty. 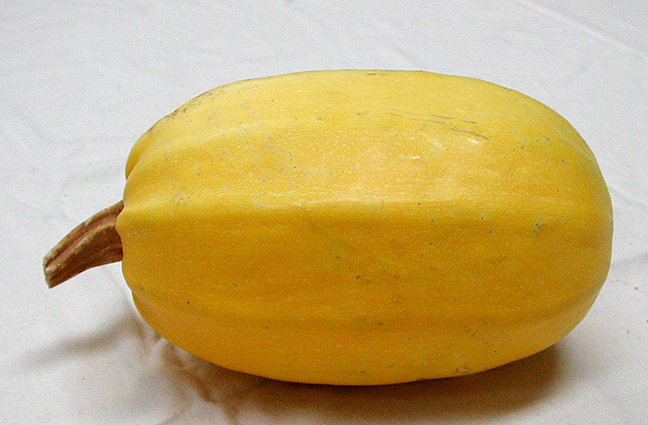 This orange, watermelon-shaped squash is a variety of the spaghetti squash. 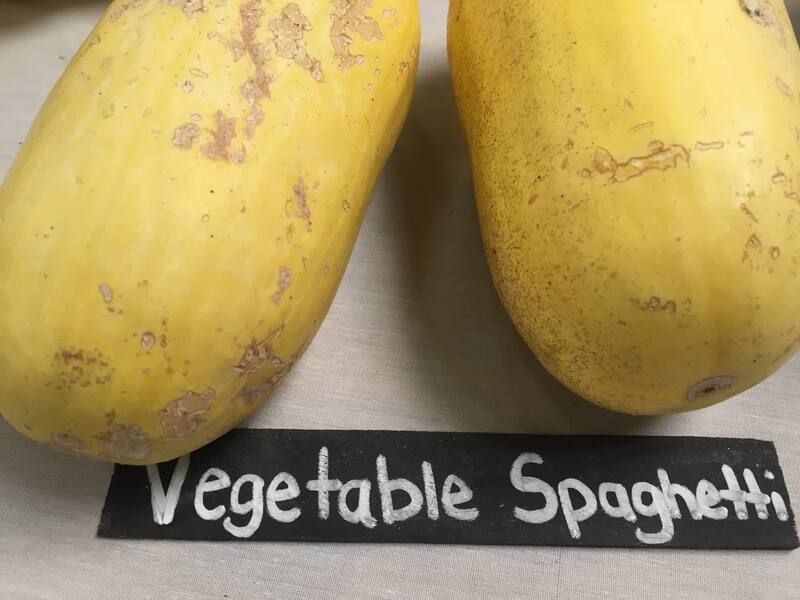 Like its cousin, it was named because the flesh separates into spaghetti-like strands when cooked. 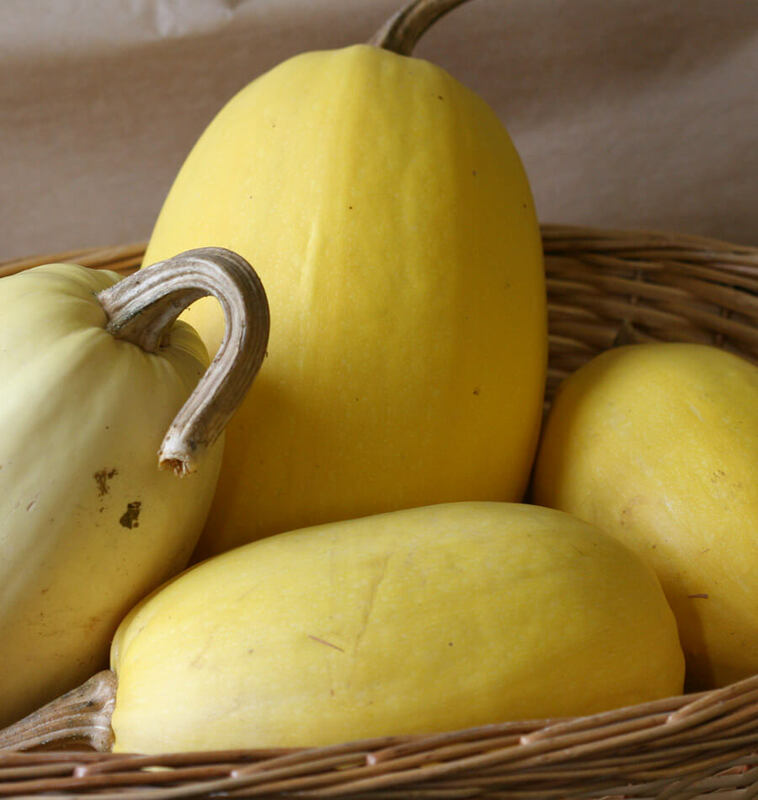 Orangetti Squash has a multitude of uses. 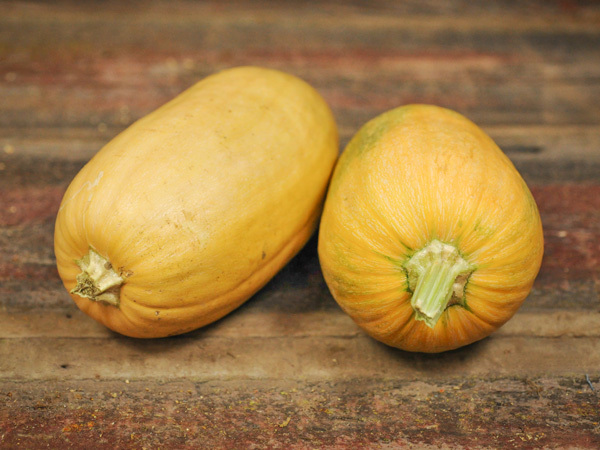 Unlike summer squash (which is picked when immature and skin is tender), Orangetti Squash has a hard, thick skin and only the flesh is eaten. 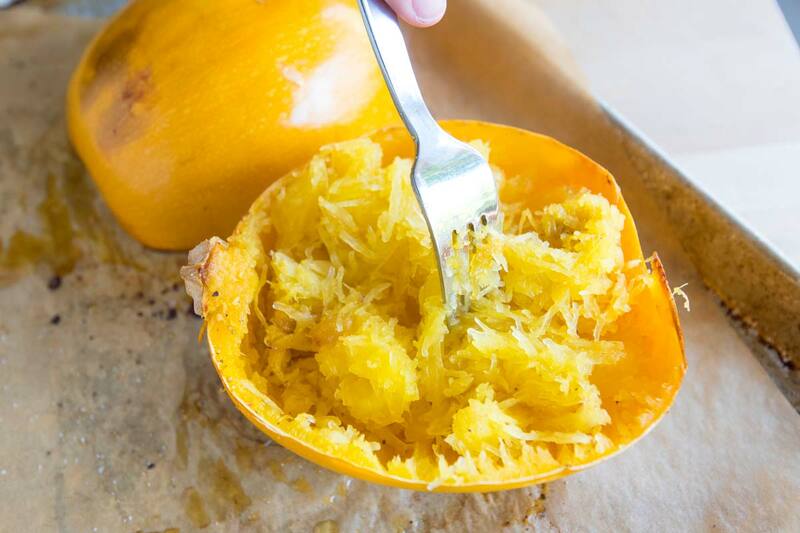 To cook Orangetti Squash, bake or boil whole until soft, then cut lengthwise and remove strands with a fork. 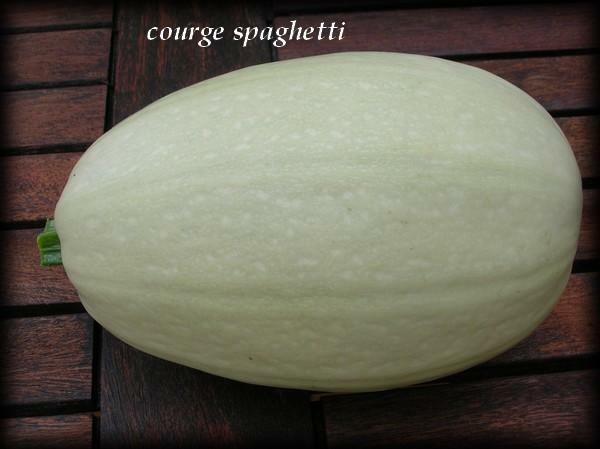 It is wonderful topped with sauce and served like pasta, as part of a casserole or even cold as a salad ingredient. 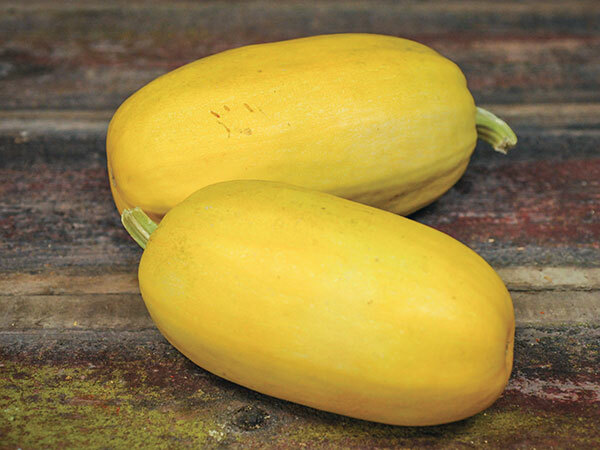 Orangetti Squash is an absolute way to add variety and excitement in any meal. 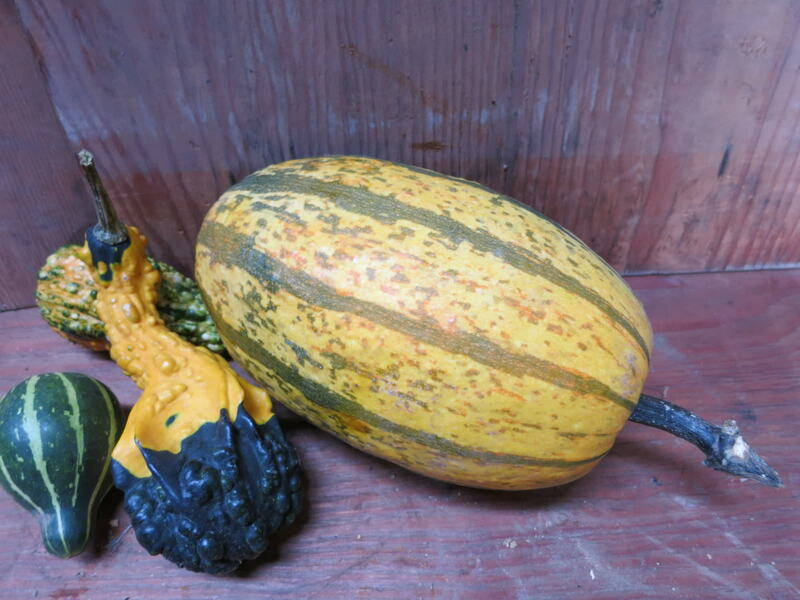 Choose squash that has a hard, deep-colored rind free of blemishes or moldy spots. 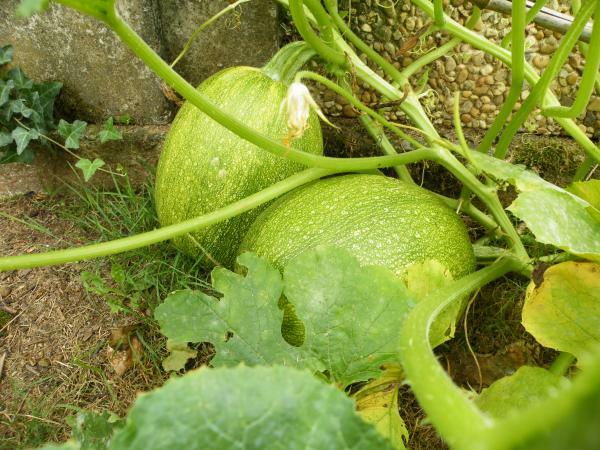 Tender skin indicates immaturity or poor quality. 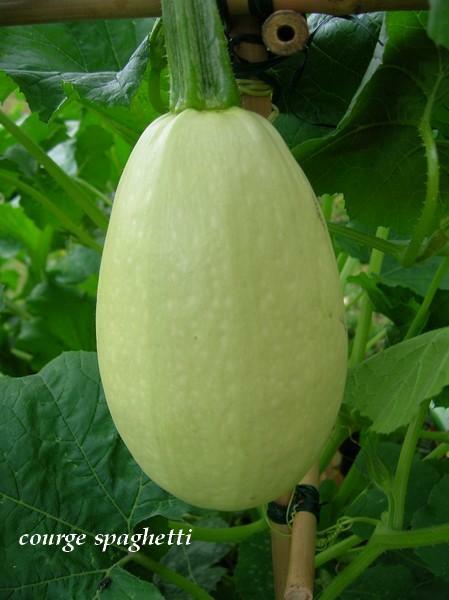 The hard skin protects the flesh and allows it to store longer than summer squash. 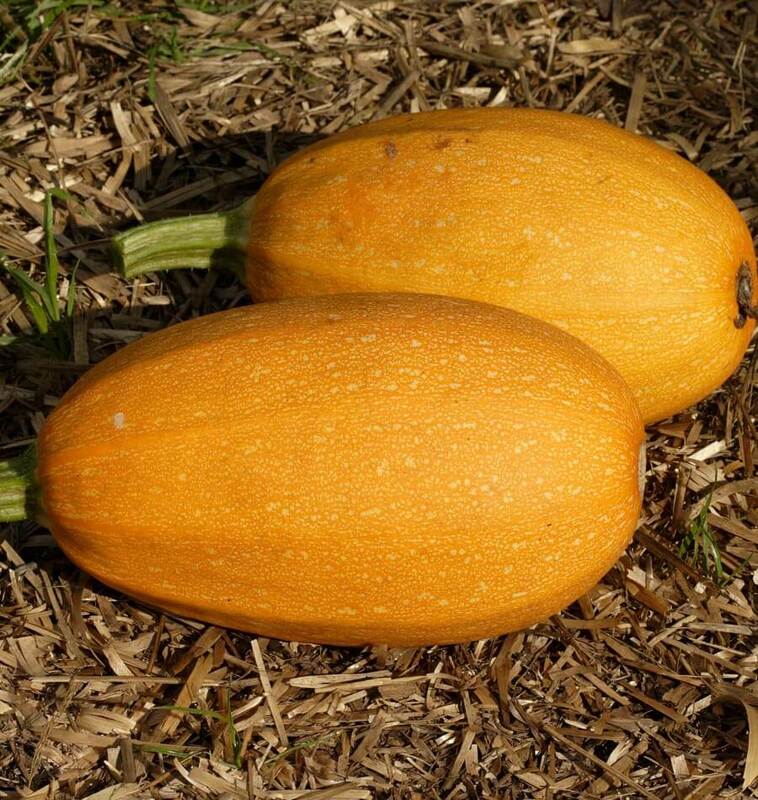 Store Orangetti Squash in a cool, preferably dark, well-ventilated area for up to three months. 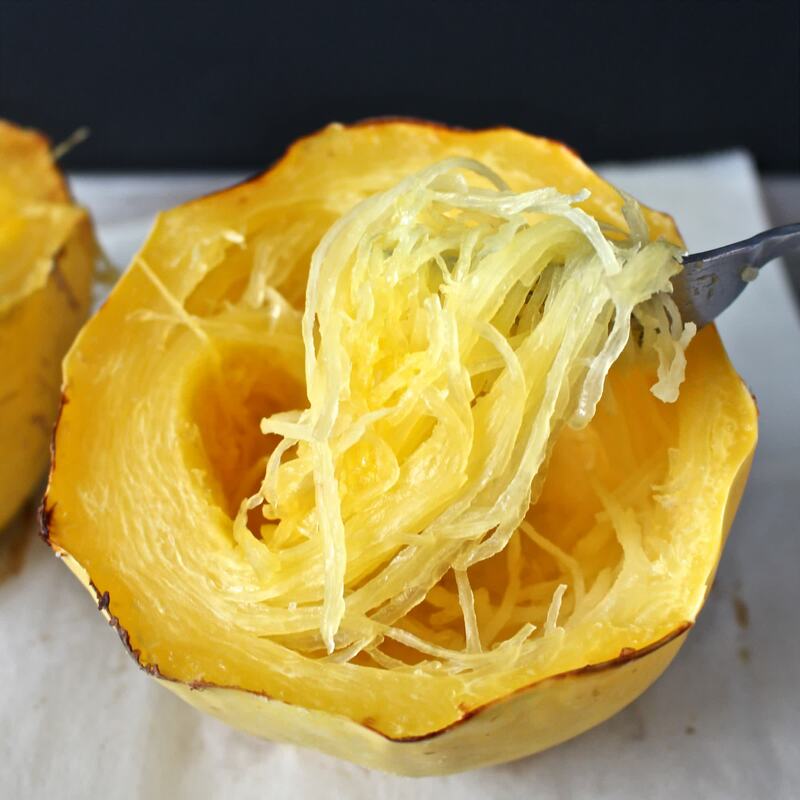 Wrap cut pieces in plastic and refrigerate up to five days.